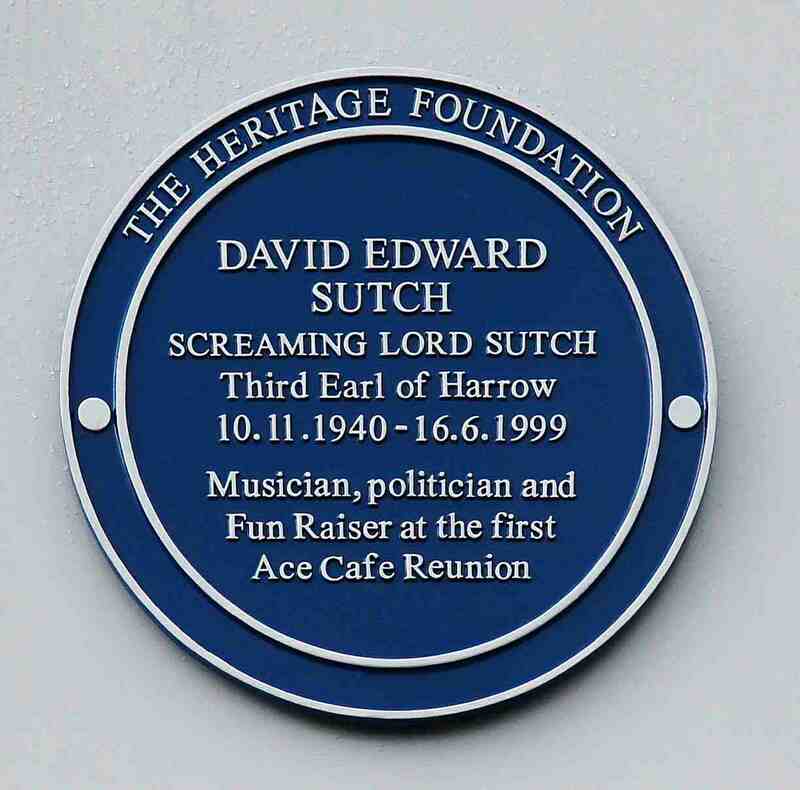 Yesterday, after 18 months of my hard work and planning, I was pleased and proud to attend the Heritage Foundation Screaming Lord Sutch Blue Plaque Unveiling at London’s Ace Cafe. The event was fantastic and very well attended despite the poor weather. 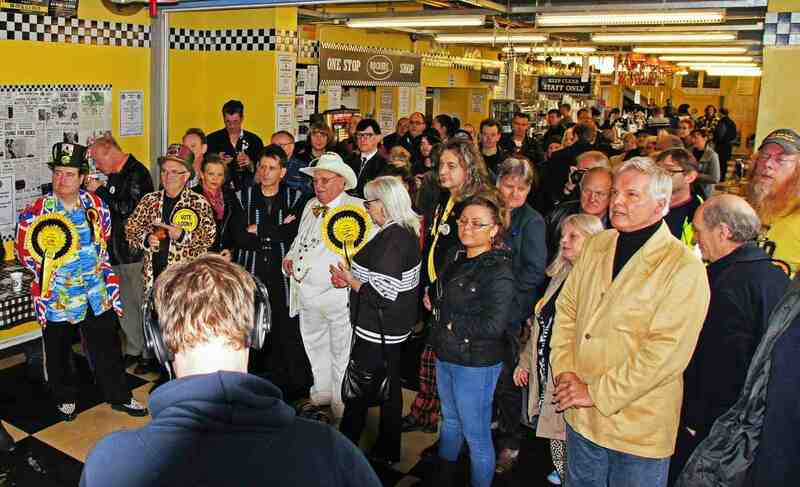 The event was attended by many old rocker’s from the 60’s era, including Frank Allen of The Searchers, Miss Billie Davis, Jess Conrad, and various ex-members of Lord Sutch’s backing group The Savages. The Mayor of Brent was there as were many national TV stations and media, I myself was interviewed by ITV London Evening News which went out last night,and by many newspapers. The whole event raised much needed funds for The Samaritans. None of this would have been possible without the help of my good friend, Graham Sharpe, Lord Sutch’s biographer and Media Director of William Hill, who helped, guided and encouraged me along the way, William Hill kindly sponsored the Blue Plaque and also sponsor the Loony Party.